I wrote another post for the Milton Security blog on the CVE-2017-7494 Samba exploit, which affects Linux machines running Samba 3.5.0 – 4.5.4/4.5.10/4.4.14. This also includes NAS devices that many people do not patch regularly. In the blog post i talked about what Samba is and how it has been vulnerable for the last 7 years due to this bug. 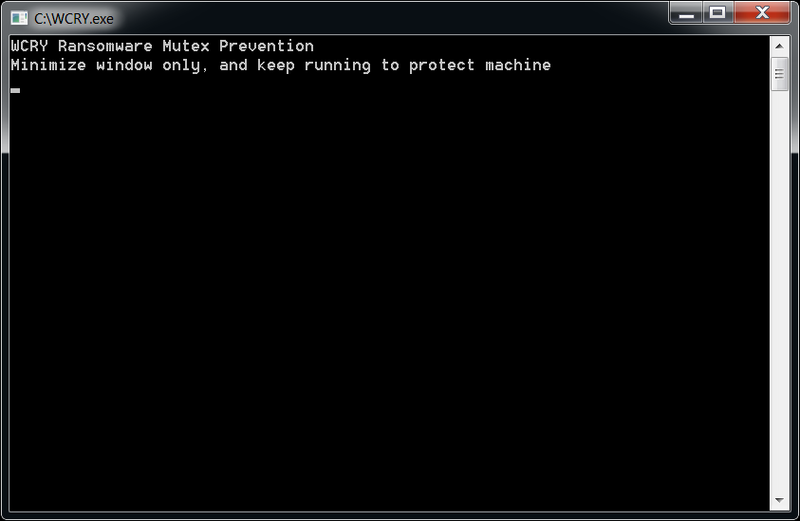 I also go over on how to test/ exploit your machine to see if you’re vulnerable. I also cover some mitigations, the maintainers of the Samba project have provided a patch so I would advise you install it as soon as possible, some NAS firmware upgrades have been available from Netgear and Synology already. Below is a demonstration of how easy it is to gain access on a vulnerable machine. A ransomware worm called WCRY or WannaCry using the same codebase has been spreading over the past few days using the same scanning technique and infection. It’s been hitting thousands of unpatched machines all over the world, UK hospitals, Telefonica, FedEx, and other businesses were hit by attack. When it successfully infects a vulnerable computer, the malware runs kernel-level shellcode that has been copied from DOUBLEPULSAR, but with certain adjustments to drop and execute the ransomware dropper payload, both for x86 and x64 systems. 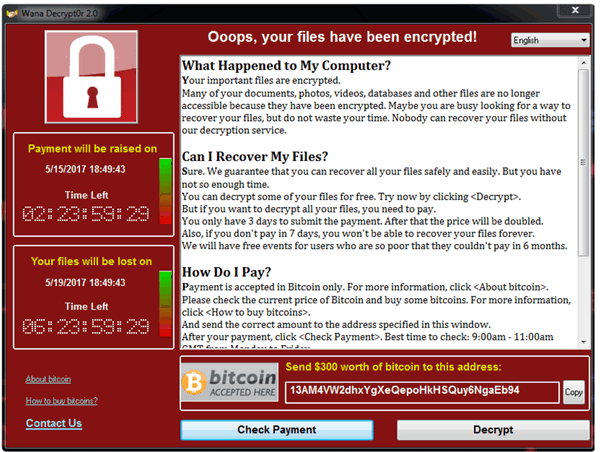 It encrypts a computer’s files and demands a $300 Bitcoin ransom before unlocking it. Not only does it encrypt your files it continues to scan for other PCs to infect within the network and to PCs outside the network. I created a simple tool that prevents the worm from encrypting your files and spreading itself by creating a MUTEX named ‘Global\MsWinZonesCacheCounterMutexA’, that the worm uses to check to see if it already infected the target, thus it exits its code. Get it from https://github.com/xillwillx/WCRY-Ransomeware-Mutex. This prevents the original variant of the worm, no guarantee that someones going to modify this name in future variants. Note You must restart the computer after you make these changes. Since most networks do not need a legacy protocol like SMBv1, it shouldn’t break anything important.